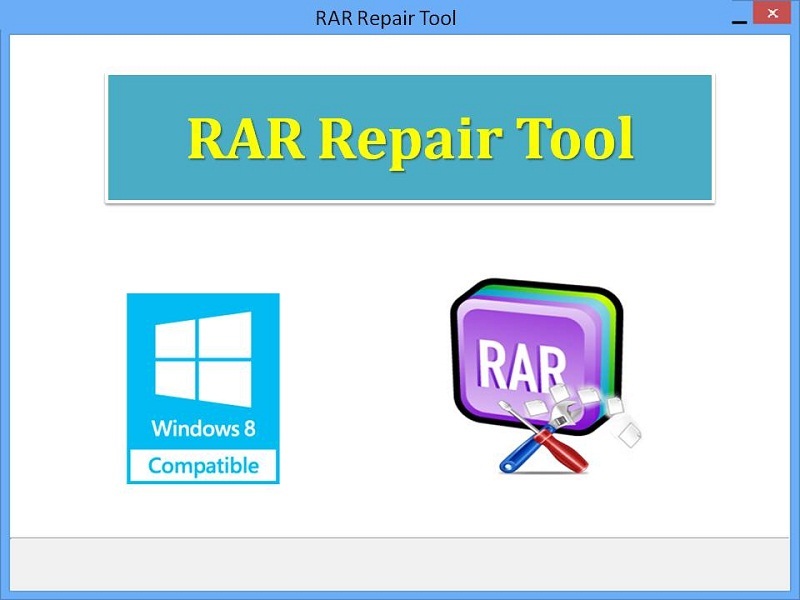 RAR Repair Tool comes with advanced features to make easy repair corrupt or damage RAR files on Windows computers. It has extremely powerful algorithm to repair RAR files and supports repair password protected RAR archives. RAR Repair Tool is the latest most popular and trustworthy program that helps to fix corrupt RAR files. It is best at repairing severely corrupt or broken or denies opening WinRAR archives and has powerful strong algorithm to make easy repair and restore. It supports repairing all versions WinRAR archives and mainly it helps you to fix RAR files, which having CRC errors. RAR Repair Tool provides extremely easy-to-use wizard interface and it facilitates repair corrupt RAR files with in few seconds. Moreover, it supports fix broken RAR files from hard drives, flash drives, memory cards, FireWire drives, external USB drives and many more. RAR archives are commonly corrupt by following reasons such as due to virus infection, incomplete WinRAR installation, due to CRC errors, large size RAR archives (4 Gb or more), file system corrupt, power surge issues, third party software installation, improperly shutting down Windows, abruptly remove USB device and many more. RAR Repair Tool is expert in repair RAR files from above corrupt scenarios. With this tool, you can repair password protected RAR archives. It is quick repair tool and it has been popular with good ratings by the users and stands top list of best repair software all over the world. It is completely automated repair process and it is compatible to run on all latest Windows OS versions such as Windows XP, Vista, 7 and Windows 8. RAR Repair Tool has simple and easily to use interface. We are providing demo version of RAR Repair Tool to evaluate full software and try this demo version before buying fully functional software. If you want to communicate with us regarding RAR Repair Tool, we are providing online chat communication please logon and communicate with our experts. Fileaze is a tool for batch tasks operating on files, folders, FTP, e-mail and HTTP sources. It can copy/move/rename/delete, change attributes, text-replace, zip/unzip, enc/decrypt, FTP, e-mail. Full support for RegExp, external commands, scheduling. Undelete files and folders from FAT and NTFS disks! Recovery Mechanic makes it possible to recover all types of files from healthy, damaged and even inaccessible media such as hard drives, flash memory, SSD drives, memory cards, and digital cameras. Raise Data Recovery for NTFS is a powerful and yet cost-efficient software application for recovery of lost and deleted data from NTFS file system of Windows NT/2000/XP/2003, Windows Vista and Windows 7 distributions.